Within 30 days after the prepayment. 80 Set/Sets per Year or as your request. KONSON exported machines to foreign countries and provide after-sale service. We could also help customers to repair machines from other suppliers. 11. Dimensions: 8100mm x 1500mm x 2180mm. A11. 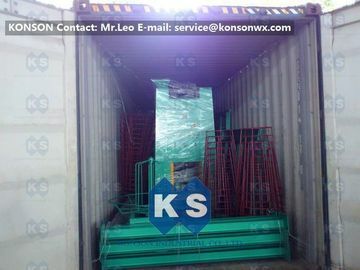 KONSON will arrange our engineer to install the machines in your factory and teach your workers how to produce, we will also send accessories and spare parts without any cost.